I have a couple of caramel treats in store for the farmers market at the Biltmore Fashion Park tomorrow. I’d like you to meet my newest creation, a Hazelnut Sandwich Cookie. 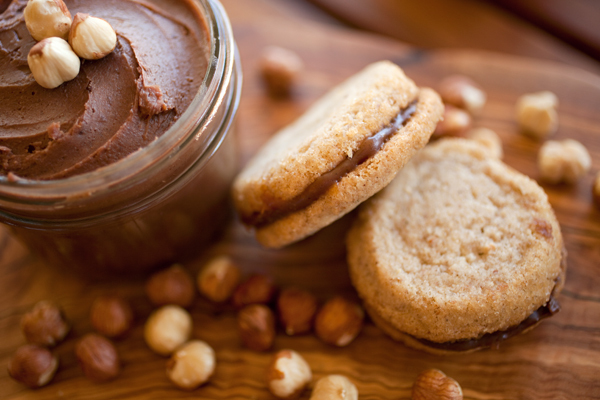 Homemade Nutella and Salted Vanilla Bean Caramel are sandwiched between two crisp hazelnut cookies. Yum. Come get one while they last! 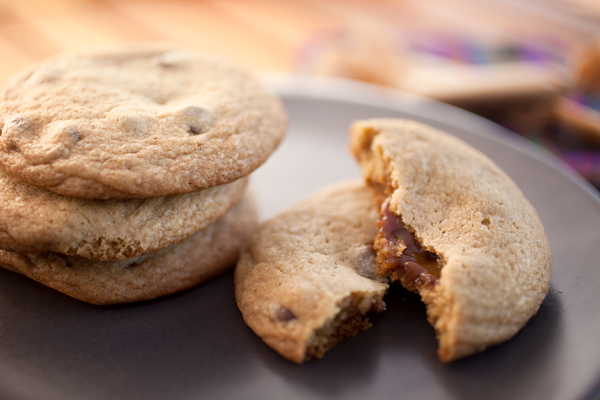 I’ll also have Chocolate Chip Caramel-Filled Cookies. Yes, they’re as yummy as they sound. Hope to see you tomorrow from noon to four! I’ll also have caramel (of course!) 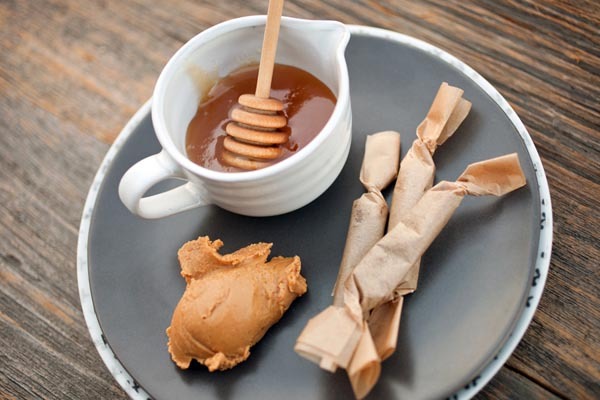 in flavors Peanut Butter & Honey, Ginger & Toasted Coconut and Bourbon Pecan. Hi! I’m so glad you’ve stopped by for a visit. Welcome to Millie’s Caramels. I have all sorts of goodies available for you to try. Here on the blog I’ll keep you updated with flavor experimentation and other exciting behind the scenes action. I’ll also introduce you to all of my wonderful suppliers, all local and all fabulous. Enjoy!